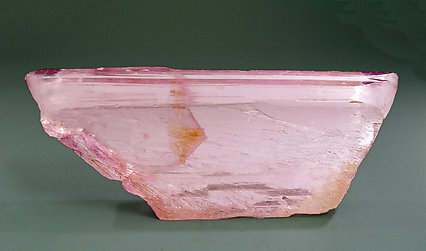 Excellent doubly terminated floater crystal, without cleavages and with curvatures on some faces and edges. 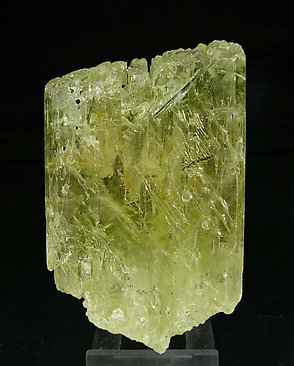 Its color varies between very pale yellow and green. 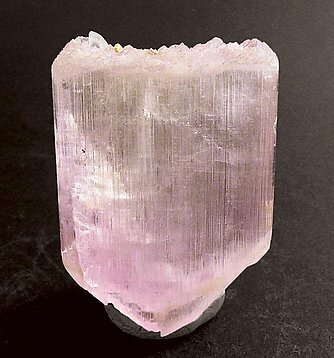 The transparency is very good in the entire crystal. 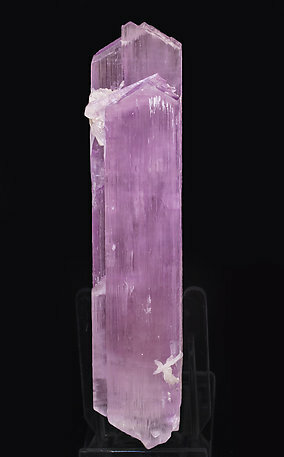 An excellent floater crystal, complete, without lateral exfoliation or damage, very transparent with very well marked parallel growths on both terminations. 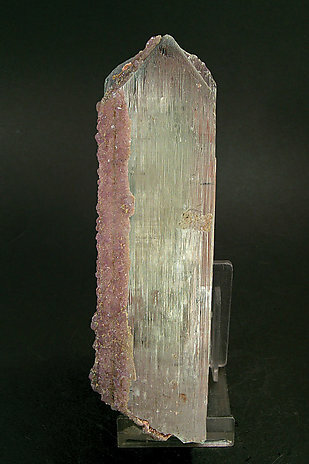 One of the more rare Spodumene samples from this locality in North Carolina, better known by the variety Hiddenite. 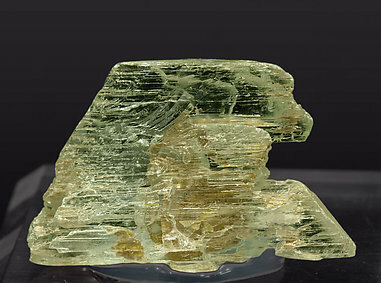 Floater and complete crystal of excellent color, greenish yellow, with deep indentations produced by the disappearance of another mineral. 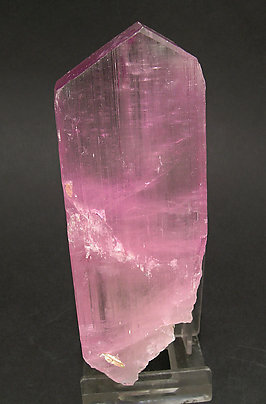 A prismatic crystal that is a neat pink color, doubly-terminated, a floater, with a complex upper termination that has a rough look due to the recrystallization, and the bottom end has inclined faces. It is very clearly a twin on a plane that is parallel to the front face. 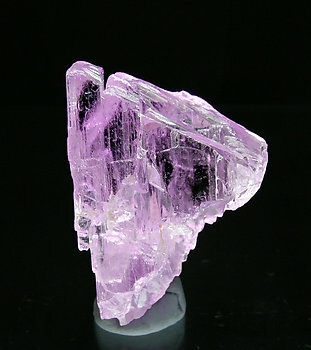 There is also some associated Schorl. Really cute. 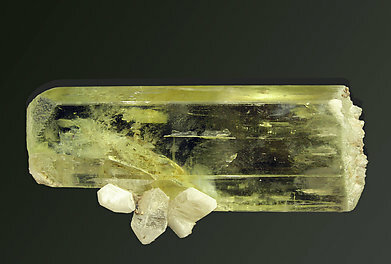 Two parallel crystal of Spodumene, which are floaters, doubly terminated, have good transparency, are of an unusual greenish yellow color, and have a particular feature: they are associated with and partially covered by small crystals of Fluorapatite, which has good color itself. 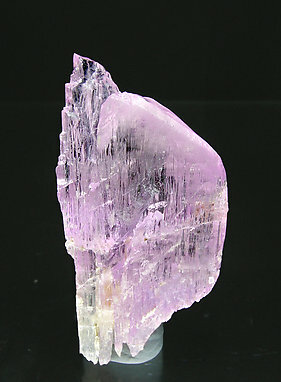 The upper tips of the Spodumenes are very well defined. 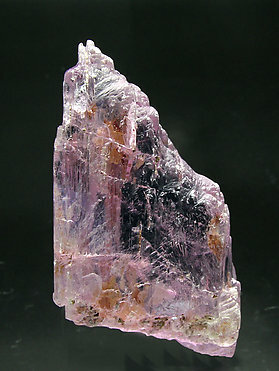 Doubly terminated Spodumene crystal with very sharp faces that is not so common for the species. 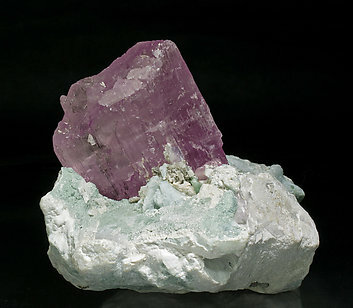 Transparency and color are excellent. 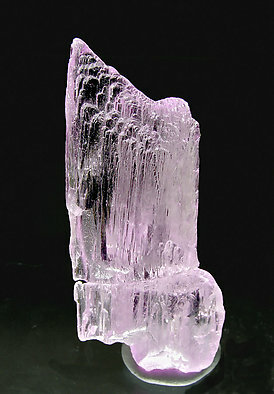 The matrix with Quartz and Albite makes an attractive display specimen.